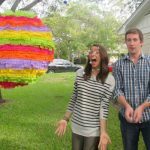 Duck Tape Pumpkins - C.R.A.F.T. 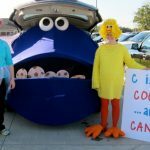 “There is a big round moon in a dark, dark sky, the chickens are nervous. Do you know why? It’s because… Strange things are happening.” What? You haven’t read Eek! Halloween! 57 times in the past week? 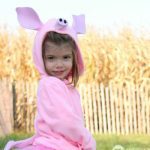 It’s a cute, Halloween board book if you have littles and love Halloween, like me! On the Halloween note, I’m a big fan of no carve pumpkins. Not only is not carving the pumpkin easier, but the pumpkins last way longer too! Today I’m sharing how to make duck tape pumpkins with your Cricut machine. I teamed up with my friends Angie from Country Chic Cottage, Carolina from 30 Minute Crafts, and Jen from 100 Designs to share tons of 15 minute Halloween Cricut crafts. So, fire up your Cricut machine and get ready for crafts galore! Duck Tape Sheets <– Get them on Amazon for $1.75 a sheet. 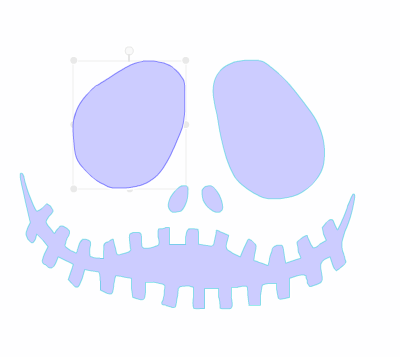 As for pumpkin face templates, I just googled “free pumpkin face templates” and picked the 2 you see above! 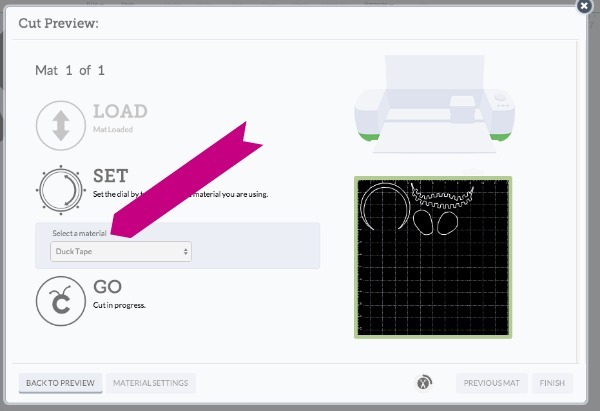 Then, I used this tutorial to upload my own images to the Cricut software. Once the images are uploaded, you can make it as big or small as you need to based on the size of your pumpkin. Click the complete image, and then hit the “contours” button in the layers screen. You can separate each of the pieces so that you can print them as close together as possible. The purple shapes with the turquoise lines around it will be hidden, allowing you to freely move the one large eye around. 3. 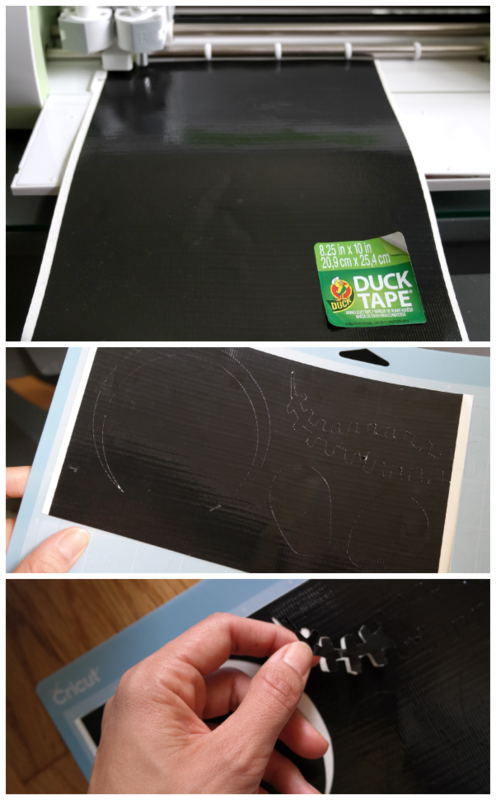 Put your sheet of Duck Tape on the sticky Cricut mat. And then your machine magically cuts a perfect pumpkin face! I kind of love it, y’all! Once the Duck Tape it cut, simple stick the faces onto your pumpkin. Easiest pumpkin face ever! Look how fun these guys are on my front porch! And since it’s just tape, I think I’m going to make another set of faces for the back of the pumpkins that way I have 4 pumpkin face options. Fun, right? These no carve pumpkins can be used a bazillion different ways. Indoor or outdoor decorations or even table centerpieces. My favorite? Host a no carve pumpkin decorating contest and let everyone make their own duck tape pumpkins. It’s a BYOP kind of party, P= pumpkin! For more Halloween party ideas check out these 34 fun Halloween party food ideas. hit enter too soon. I carve pumpkins every year, use templates from Zombi Pumpkins & create my own. I’ve found a heated blade slice through the “fake” pumpkins. My house is a go to destination in our neighborhood. I love these!! So cool you made them using the Cricut, wow there are just so many things you can do on the new machine. BTW, I never knew there was such a thing as duct tape sheets! 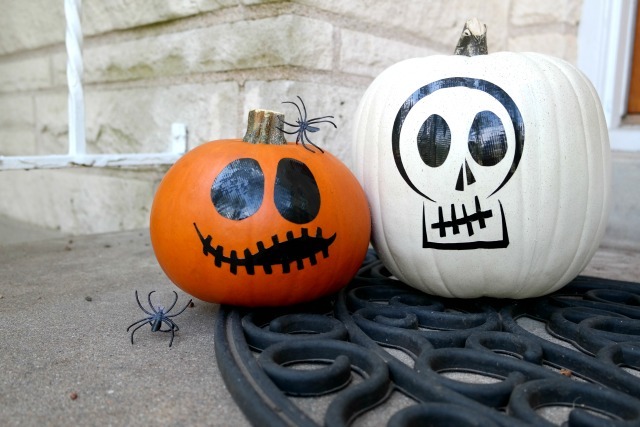 Love the face on the white pumpkin, it reminds me of something from a Tim Burton movie! Good luck in the competition! I love how this turned out. It sure beats messy pumpkin carving. 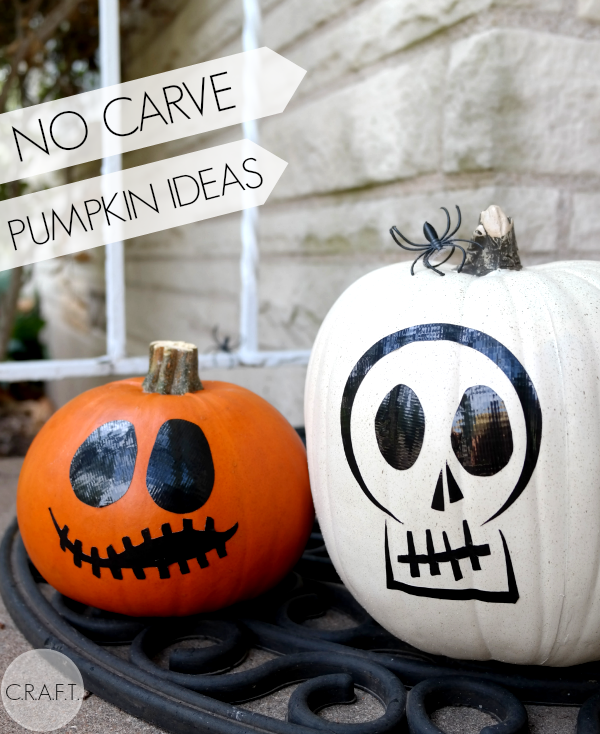 I love this idea because the lack of carving means the pumpkins will last longer. Great idea. Thanks for sharing at the Inspiration Spotlight party. Pinned & shared. These are great! I really need to buy a Cricket machine. Thanks for sharing. I like using Sharpies too! I love these pumpkins! I’m honestly not a fan of carving pumpkins. Just too messy for me. But this is something I could totally do! Such a good idea! And the pumpkin won’t rot after a few days either! It makes so much sense to decorate a pumpkin without carving it. Why haven’t we always done it that way? 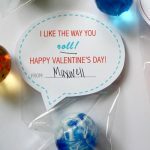 That is an awesome idea, and less stressful and messy, and looks great! I will definitely give this a shot this Halloween. What a great no carve solution for pumpkins!